Kings Cross (NSW) police are appealing for help to locate a Nepalese student who has not been seen since mid-August last year. Wilson Bista arrived in Australia in April 2004 and last year had been studying at an inner-city information technology (IT) college, before beginning work with a Mona Vale business. 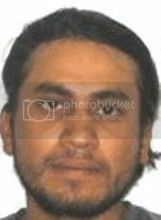 Police have been told Mr Bista had been residing at a hostel in Rose Bay until 24 August 2007, when he told acquaintances he was moving in with a friend in western Sydney. Mr Bista resigned from his job about the same time and inquiries by police indicate he has not accessed his bank account or departed Australia in the past 14 months. An acquaintance reported him missing at Leichhardt Police Station on 14 September 2007. Despite a number of inquiries, investigators have so far been unable to identify or locate Mr Bista or the western Sydney friend he had intended to move in with. Police have serious concerns for Mr Bista’s welfare because he has had no contact with his small group of known friends in Australia. Police are continuing their work to locate his family, who are believed to be living in a remote area of Nepal. Mr Bista has been described to police as being approximately 168-170cm tall, with a medium build, broad face, black hair and dark eyes. Friends of the amateur painter have described him as always having a very neat appearance. Friends have told police he has a high-pitched laugh and has been known in the past to put bold colours through his hair, such as pink and green. Any members of the public who know Mr Bista’s whereabouts is urged to contact Kings Cross Police Station on 02 8356 0099 or Crime Stoppers on 1800 333 000.